The 300,000 visitors that visit annually the 18 km long gorge are usually not aware of its historical and mythical significance. weaving legends and guarding secrets throughout the centuries. The 300,000 visitors that visit annually the 18 km long gorge are usually not aware of its historical and mythical significance.Regarded by the locals as an almost sacred place and a monument to freedom (partisans found refuge here throughout centuries), the Samaria Gorge holds proud resistance to the contemporary whirlwind of today’s civilization. The inhabitants of the region call the Samaria Gorge simply “The Canyon (o Fárangas)” because there is only one true gorge for them …. the other 37 gorges of Chania cannot compete with the size and ferocity of Samaria. By public bus Click here for the timetable: Public Bus service Crete. The rates are also given. 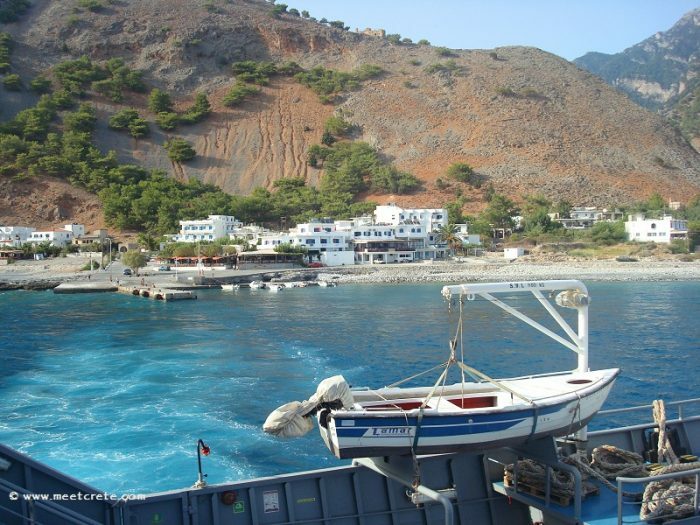 After passing through the gorge by ferry from Agia Roumeli and Paleochora west to Sougia or east to Loutro and Sfakia (also called Chora Sfakion) with ANENDYK your domestic Greek ferry line and then take the bus. The buses of Sfakia to Rethymnon or Chania align themselves with their departure to the arrival of the ship from Agia Roumeli. Also the bus from Sougia to Chania will be waiting for the ship of Agia Roumeli. 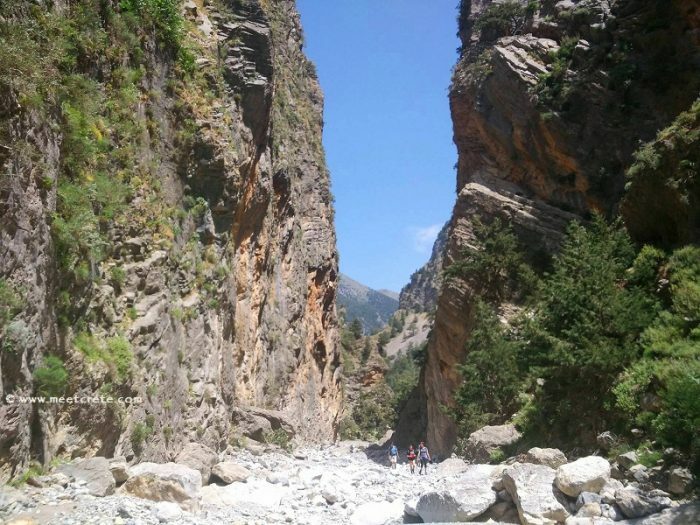 Opening times: The National Park of Samaria gorge is opened annually from 1 May to 15 October. However, this is weather dependent. The gorge opens both from the south entrance in Agia Roumeli and the north entrance at the Xyloskalo at Omalos plateau at 07.00 hrs in the morning, with last admission also from both sides at 16.00 hrs. The gorge is sometimes closed during the summer due to excessive heat. In this case, better inform yourself the day before your planned hike in a local travel agency or at the hotel reception. The entrance fee is 5 Euros, children until the age of 15 y free, the ticket must be shown when leaving the gorge. 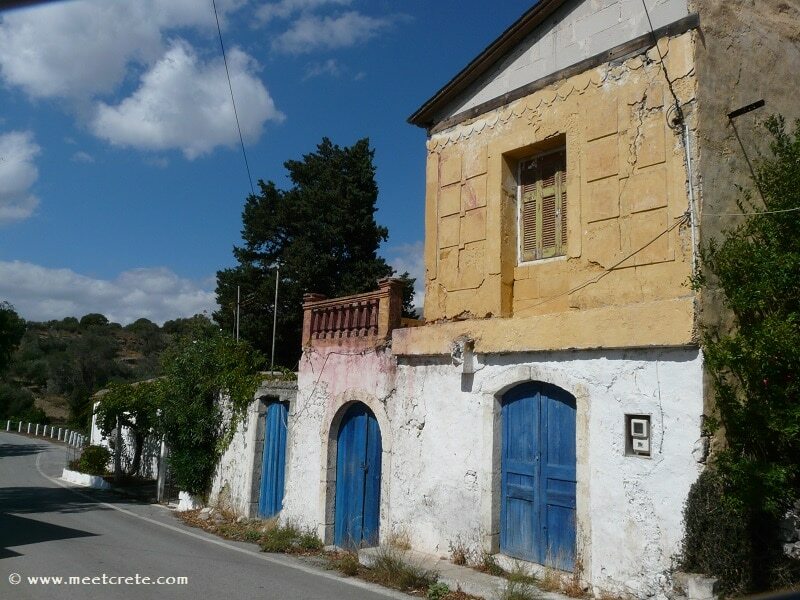 If you are lucky enough a small bus will wait for you at the exit and for a small fee of 2 € it will bring you down to the south coast to the village Agia Roumeli. Walking these 2 km has not much to add to your gorge-experience. You can find spring water and toilets periodically (both about 4-5 times spread over the route). Hike duration: 6-7 hours with short breaks. There are also 2 spots with a guard and a telephone for emergencies. Mobile phones have reception only in 1-2 points. Please respect the Rules and Regulations of Samaria National Park. Map: Input and output of the canyon, beach, harbor with ferry connections to the villages Loutro, Chora Sfakion and Sougia. It was taken from the Byzantine Church of Osia Mary of Egypt, located near the village of Samaria, halfway down to the Libyan Sea. Osia Mary was popularly shortened to Sia Mary and turned into “Samaria”. The local religious history records that Mary was born in 345 AD in Alexandria. She was very beautiful, loved the physical pleasures and enjoyed her life to the fullest. 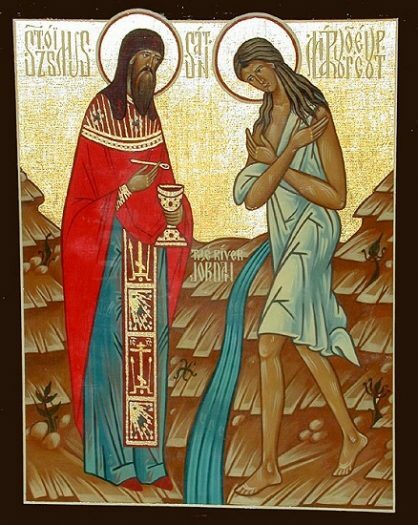 But when she visited the holy city of Jerusalem one day, she felt the need to repent and devoted her life to asceticism. In honor of her memory, the Orthodox Church celebrates her name day annually on the 1st weekend in April in the church Osia Mary. 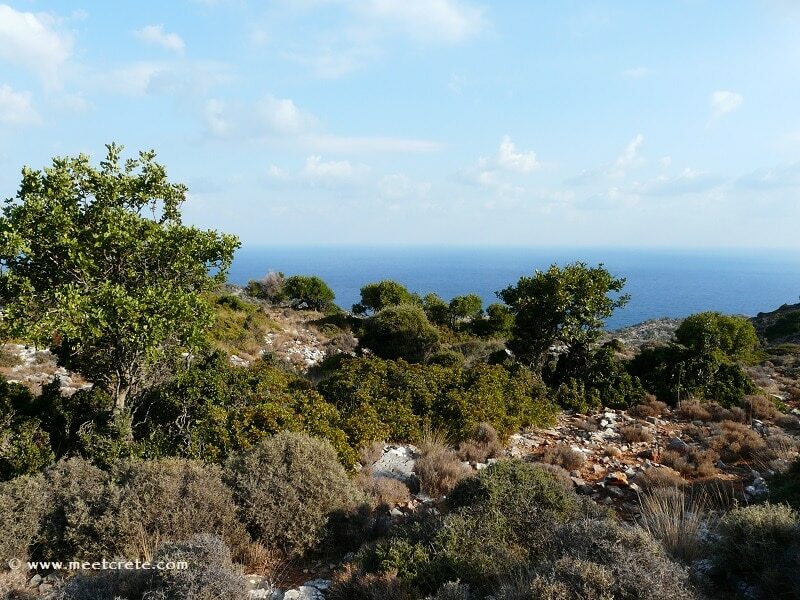 to maintain the unique endemic fauna and also to protect rare raptors and the Cretan wild goat, Capra Aegagrus Cretica. 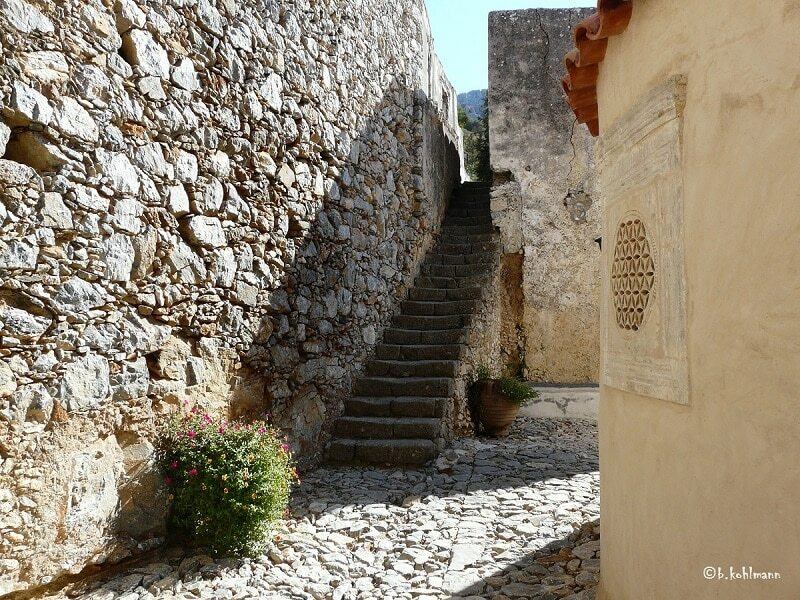 The last 30 inhabitants of the village of Samaria, which was founded in the times of the Komnenos family in Byzantium around 900 AD., had to leave the canyon and moved to the south coast to the village of Agia Roumeli. 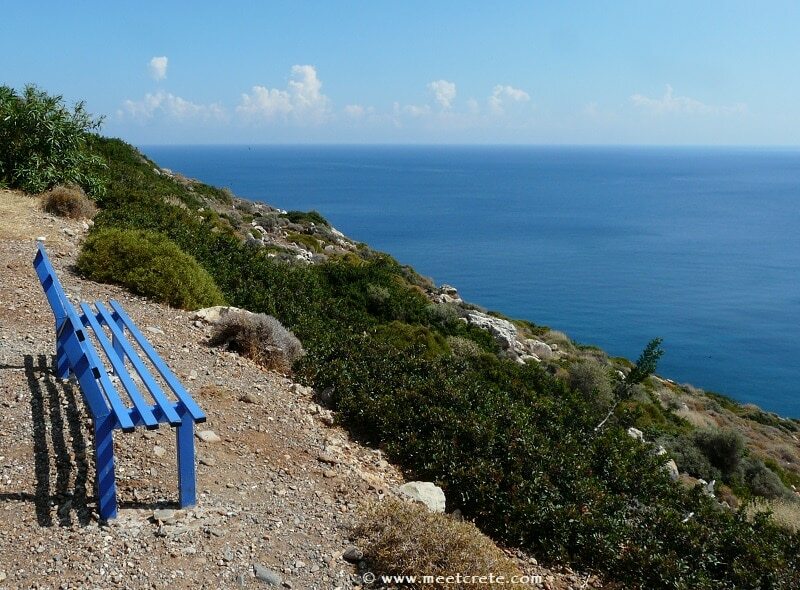 For nearly 1000 years since the Minoan times, the villagers coveted the Cretan cypress wood for shipbuilding. The inhabitants of the south coast of Crete were famous sailors and traveled frequently all the way to Egypt, and we find the roots of the existence of the Church of Osia Mary the Egyptian in the Samaria Gorge. 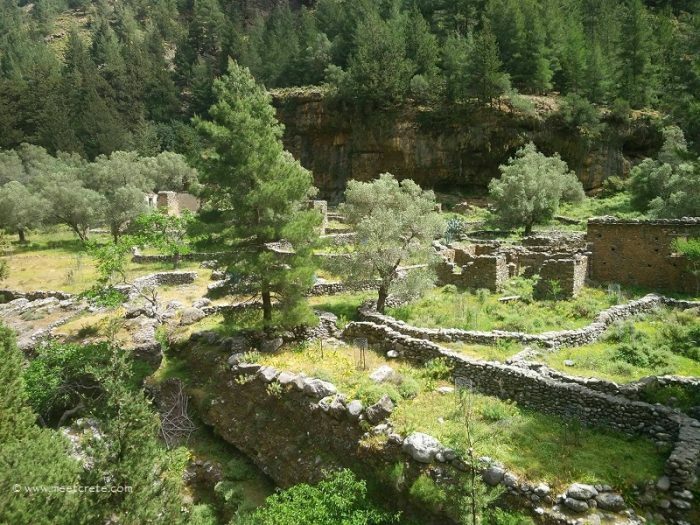 The ruins of the now abandoned village Samaria in the middle of the gorge. The Samaria Gorge is a strange and very difficult place to survive. Nature is impressive. The thought of a permanent stay here inspires the imagination. In winter, the canyon is inaccessible due of the amount of water as the river Tarraios floods completely since Minoan times . There was also a sanctuary of Artemis at the exact spot where a wanderer from the Omalos plateau, travelling after 4 km, meets the church of St. Nicholas. When the English traveler Robert Pasley visited the Samaria Gorge in May 1834, the leaders of Sfakia showed him the “land of the Greeks” as the gorge was called. To the north the view encompasses the Gingilo, the highest peaks of the White Mountains, also called “Throne of Zeus”. At the southern exit of the Samaria Gorge on the Libyan Sea in place of the present settlement of Agia Roumeli was the ancient town of Tarra. The city Tarra was in Roman times a major center for glass production, and there was also a temple of Tarraioy Apollo a known healing center. Legend says that the god Apollo went to the Samaria Gorge, and was forgiven here by the great priest and healer Karma Nora for the sin of murdering the Python in Delphi. On this occasion, Apollo fell in love with the Minoan girl Akkakalida, granddaughter of Zeus. He was so stunned by her beauty and grace that the god of light spent the night and the following day in her arms … it was the longest night the world has ever known. During the years of Venetian occupation, specifically in 1319, the beautiful girl Chrisi of the house of Skordili from Sfakia was the cause of a great slaughter. 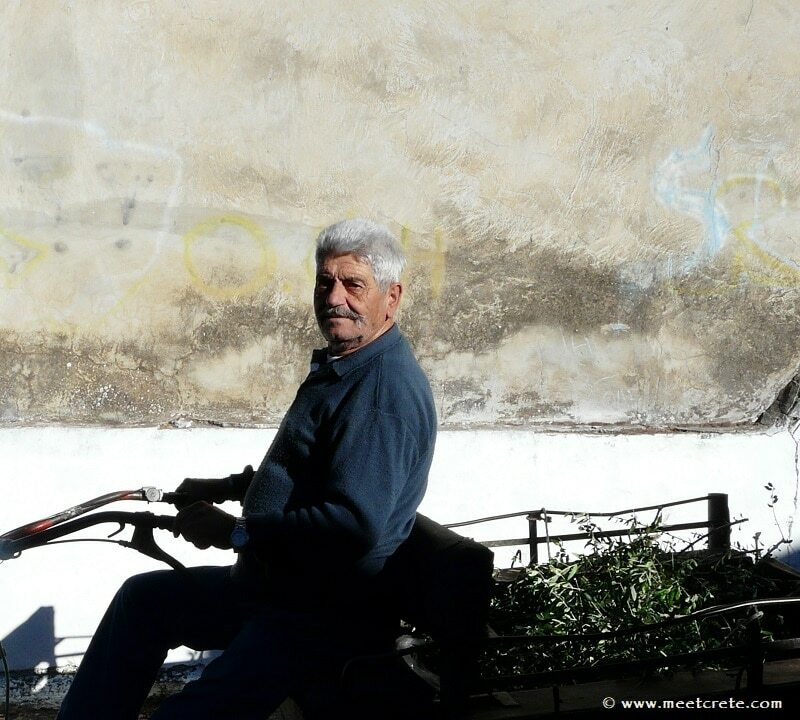 The Venetian Kapouletos from the Guard of Sfakia cut off a braid of her hair as punishment for having refused to give in to his romantic overtures. But the Skordilis family was of Byzantine origin, and the emperor Alexios Komnenos had granted them and the district of Sfakia with the imperial seal. This episode was the impetus for the founding of the resistance movement of the Skordilis. For one and a half years the Venetians tried unsuccessfully to penetrate in the Samaria Gorge where many of the partisans from Sfakia hid. Each time they encountered the armed resistance of the Skordilis. The losses of the Venetians were so numerous that they were forced to withdraw. According to legend, the gold-haired girl Chrisi became a nun and spent the rest of her life in the Church of Maria Osia in the gorge. When the church was restored in the 70’s, the workers found a grave. It contained the bones of a woman with her hair unaffected by time and adorned with a strange jewel. This find was connected to the nun Chrisi, the Chrisomalousa, by the Cretans. 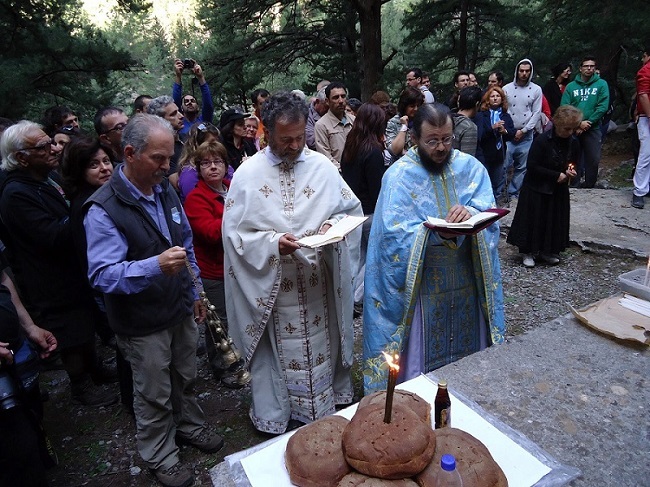 Every year on the first weekend in April the municipality of Sfakia organizes a solemn Mass in her honor in the Byzantine Church of Osia Mary. It is the only night when it is allowed to spend the night in the canyon (you must sign up in advance) . 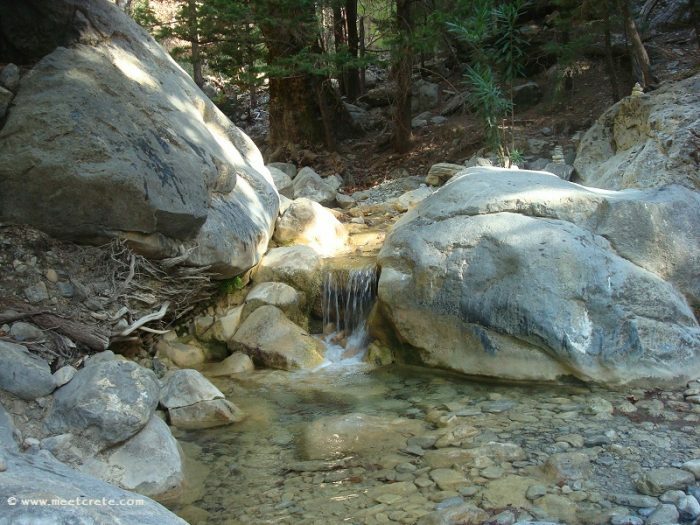 The god Apollo, his sister Artemis, the Holy Nikolaos and Maria Osia are forever interwoven with the magical nature of the Samaria Gorge and its pristine wild rocks. Legends, myths, Byzantine churches and archaeological findings allow time to stand still and encourage the imagination. Everything is as beautiful as a lie, as linked in a fairy tale. 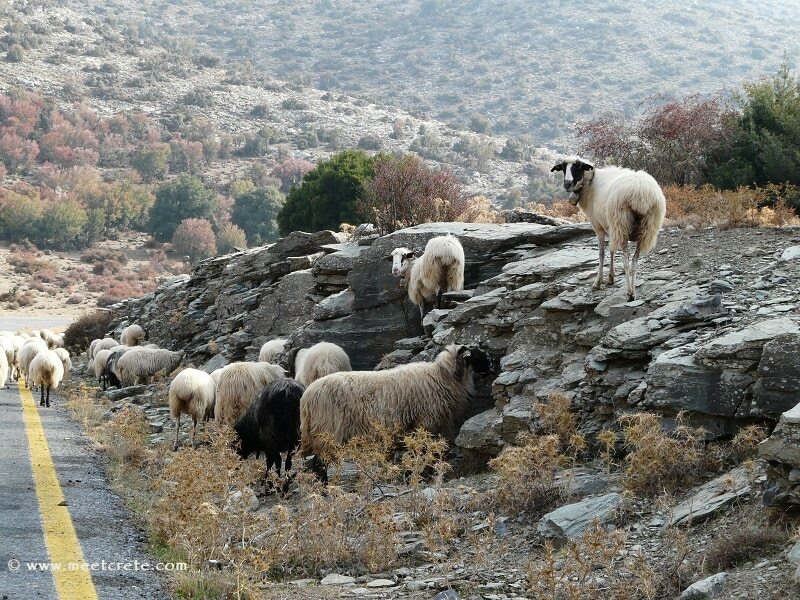 The fauna of the Samaria gorge with its 32 kinds of mammals, three types of amphibians, 11 species of reptiles and 200 species of bird life can be described as particularly rich. The recording of the flora of the Samaria Gorge and of the White Mountains is still not completed. Personal note: all photos are a kind sponsorship of my dear friend Georgia Simantiraki. I have walked the gorge many times throughout the years, but without taking photos. Unfortunately at the present I don’t feel the power to hike again such a lot of km. Good bye Samaria, a unique day comes to an end.